In the period immediately following World War I, two very different groups dominated the architectural scene in the Netherlands. One of these, De Stijl, was rationally oriented and contributed directly to the development of functionalism. 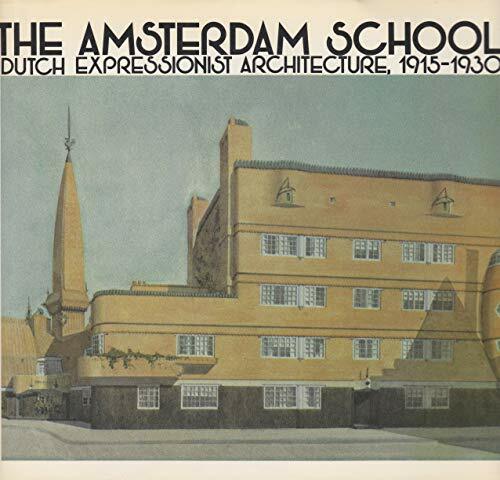 The other, the Amsterdam School, was more overtly emotional and intuitive in its approach. It had less influence, but it produced some of the most original and daring designs of any of the European avant-garde movements in the halcyon days of modernism.Not only is this book the first in English to consider the formal and stylistic aspects of the Amsterdam School's work, it is also the first to relate the drawings and projects to the deeply-rooted social vision of the group, which sought to transform the world through architecture. Essays by distinguished architectural historians Maristella Caciato, Karin Gaillard, Helen Searing, Petra Timmer, and Wim de Wit examine the social, political, and economic circumstances to which members of the school responded.Led by the talented Michel de Klerk; the school's architects sought to embody their highest ideals in three-dimensional forms-to sculpt their vari-colored brick and stone buildings in such a way that they spoke to their inhabitants on a personal, sensual level. The book's illustrations of "Eigen Haard" and other public housing projects reveal the formal strategies that were devised to endow workers' housing with a sense of dignity and the efforts made to avoid the potential for dreary facades and barracks-like interiors of workers' environments that were to come.All the major projects are documented, from renderings of furniture and interiors to completed buildings. Both realized and unrealized designs by de Klerk, Piet Kramer, Margaret Kropholler, Johan van der Mey, Frits Staal, Hendrik Wijdeveld, and G. F. la Croix are also shown, many for the first time in book form.